GND & VAD Charts The GCI radar is a fully digitized radar display for DCS World. It is a derivative of the aerodrome Surveillance radar. Selcted ground targets can be displayed and even all airborne targets, incl. SAMs and AAMs.In DCS World, a radar Server is necessary to deliver radar data from a game server to all connected radar displays over the internet. The radar server is part of the delivered radar package. 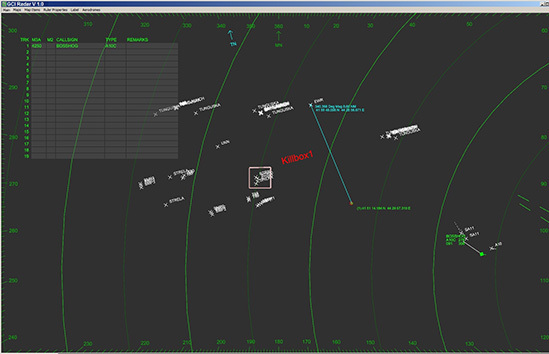 The interconnection of the DCS World game server, the radar Server and the different radar displays is shown in the diagram on the Home Page. The GCI radar will be available in December 2016.